"The Macabebes, were never native to the Philippines. Their ancestors were Yaqui Indians brought in over from Mexico. They were a large portion of the Spanish garrison force before South America gained Independence from Spain. The Spanish loved them and gave them land in Pampanga where they intermarried with the natives who also hated the Tagalogs. Because of their close ties to Spain, the Tagalogs hated them, but you can't consider them traitors if they were never really Filipinos in the first place. When Spain gave up the Philippines the Macabebe scouts were integrated into the Philippine army. They used to serve under Gen. Antonio Luna, but when Aguinaldo ordered Luna killed, the Macabebes switched sides, either they are true Luna loyalists or they were sickened by the idea that the president had their commander killed in cold blood or both. When it was time to capture Aguinaldo, most of the Macabebes saw this as hatchet day for Aguinaldo, although it was recorded that 3 Scouts refused to participate by feigning illness (1 hid in the hammocks of the ship used in the operation). The 3 Filipino leaders of the operation initially refused to participate (Talplacido, Cadhit and Segovia), they were "persuaded" by Funston to participate, and participate they did performing their acts like seasoned actors. Given this information, it is very easy to understand why the so-called traitors acted the way they did. The Macabebe scouts were formed from, as from their name suggests, Kapampangans from Macabebe. They were a small group of Spanish colonial troops who were counted as a reliable formation by the Spanish. Why reliable? Well, they hated the Tagalogs and did not have any qualms in killing their hated adversaries. After the Spanish left, they were impressed by Gen. Antonio Luna's handling of the Armed forces and they enlisted in the Philippine Army and served mainly Gen. Antonio Luna. They were subsequently disenchanted when Aguinaldo had their commander killed. (See above) They were mainly used by the Americans in further formenting regional animosities, to pursue their successful strategy of divide and counquer. The Philippine Scouts on the other hand were composed of volunteers recruited from all over the country. There might have been some Macabebes in this unit but they formed a part of one big unit and they could have been sprinkled in various formations within the Scouts. When the Philippine Scouts were formed in 1901, the Philippine American War was practically over (Aguinaldo was captured March 23, 1901), thus they were not really used to suppress dissent since resistance was confined to small parts of the archipelego. The Philippine Scouts was a professional organization composed of the best of the best in the country. It represented the creme de la creme of Philippine soldiery as World War II would show. 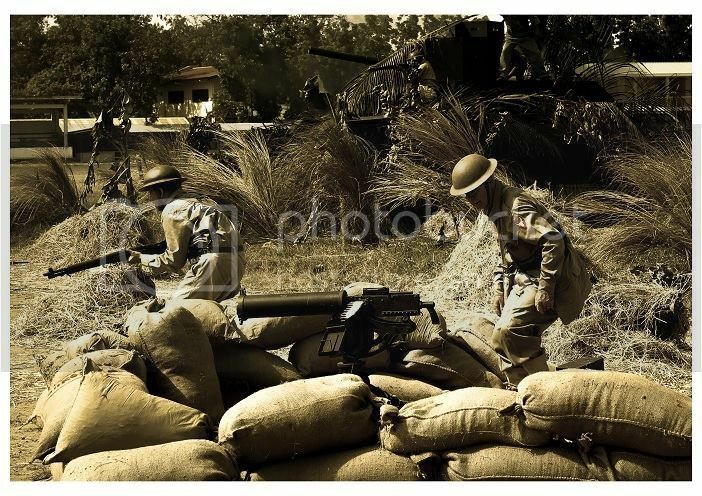 Repulsing the Japs several times their number, acting as mobile fire brigades counter attacking when Japs penetrated the lines, etc. They gave a very good account of themselves throughout the war. Sgt. Calugas who earned the US Medal of Honor was from this unit. Most their members are interred in the American Cemetery in Fort Bonifacio. " I don't remenber the source of were I found this info on the net anymore. n 1533, the Yaquis saw the first white men: a Spanish military expedition searching for slaves. The Spanish who initiated warfare were soundly defeated, but took thousands of Yaqui lives. Between 1608 and 1610 the Spanish repeatedly attacked the Yaqui people. The Yaquis proved they could raise a fighting force of 7,000 within a few hours to successfully defend Yaqui land and cultural integrity. Nevertheless, the Yaquis preferred peace. They asked the Jesuits to enter Yaqui villages to do missionary work and economic development. Most of the 60,000 Yaquis settled into eight sacred towns or "pueblos" and built churches: La Navidad del Senor de Vikam, Santa Rosa de Vahkom, La Asuncion de Nuestra Senora de Rahum, Espiritu Santo (Ko'okoim), Santa Barbara de Wiivisim, San Ignacio de Torim, San Miguel de Veenem, and La Santisima Trinidad de Potam. In 1533, the tribe had its first confrontation with the Spaniards when Diego de Guzmán and his soldiers were defeated by a united force of Yaqui warriors. More than seventy years later, in 1609, another Spanish party lost its battle with the Indians. Yet, the Yaqui were interested in Spanish material culture and proved to be eager converts to Christianity. They developed a new religion which contained both native and Christian elements. This claim that Yaqui Indians were brought over by the Spanish is looking very doubtful..... besides the Spanish didn't need any outside help pitting one Filipino tribe against another to suppress any rebellions. a claim from an internet website and a vague quote from a book is the only evidence I have heard that Yaqui Indians settled in Pampanga and raised hell on the Tagologs. I think Dimisalang is justified in wanting to see more "documented" evidence backing those claims. Now the hunt is on. We need to send some scouts to that Pampanga place and look up records and see if any "all you need is "one" breeding for a few years" Yaqui settled there. Do we know anyone from there? This was taken off the internet from Ethnic groups in the Philippines. In "Wikipedia, the free encyclopedia"
Is this the one you mentioned faustino? They mention an author named Austin Craig but I could not find much on him at this time. American Indians mentioned in last paragraph. I think the original post by Legionnaire may have originated from a private discussion between him and Art. Art is a lifetime member of the Philippine Scout Heritage Society and is descended from Macabebes. His father was also with the 45th Infantry PS in Bataan. In some past PSHS commemorative events, he had attended in a Macabebe scout impression which raised the question to some that they are not necessarily the same, and may mislead some people who may not know better. Legionnaire may just be bringing up that point to Art. Art of course is proud of his heritage and is also a reenactor. Have Macabebe impression - will join the fun. Nothing wrong with that. Just some concern that the impression may mislead some people as to who the Philippine Scouts were. So that my friends is the point of the thread. With that in mind, the more well read and researched guys can enlighten us about what the deal really is with the Macabebes. 26th was born and raised in the US. He can't spell Ilocano. He may have been verbally told that he's Ilocano and just going by the phonetic sound of the word. So give him a break. Thanks for my back Victor. I missed spelled Ilocano in my haste to reply dimasalang and did not do my proper spell check. It seems he knew what I was talking about spelled wrong or not. To throw that back that way, shows a lot of his character. But I do still love this forum. I meant the Spanish moved people around from the countries they conquered. Yaqui go home!!! Oops, did I mean Yankee??? Austin Craig belongs to what we referred to then (the early 1990s) as "historians of the old school." If you look him up on the 'net, you'll see numerous references to his work on Philippine subjects, with his works on Rizal being prominent. As history students, we were exposed to his work in our professors' efforts to illustrate what "Philippine history from a foreigner's perspective" is, and what the attendant pitfalls of this school were. As a gatherer of primary information, Craig is good. As an interpreter of what he gathers, though, his framework and conclusions don't carry much weight in contemporary historical circles. 1) In those days there were only two galleons a year going from Mexico to the Philippines. 2) Portage and cargo space was very expensive. Unless the Yaqui indians were intended to be sold as slaves, there would have been no return of investment or profit from shipping an entire tribe from Mexico to the Philippines. 3) "Indians" were seldom ever imported or exported into slave labor. The Spanish either pacified the local indians or exterminated them where they were, and when they could. It was reckoned by slave traders that "Indians" easily die from diseases and/or were lazy and therefore unsuitable for the slave market. No paying "customer" would buy them. 4) The "Mexican" people who went to the Philippines were already the "mestizos" who were recruited by the Spanish to serve as garrison troops guarding the walled city of Intramuros or some other forlorn Spanish outpost, They were not called "Kastila" by the Filipino locals, they were called "Chichenengos". 5) During the 16th century up to the 1860s, most of the "Spanish" regiments in the Philippines were actually made up of Mexican mestizos. There were very few common soldiers who were actually "peninsular" Spaniards. There were more Spanish priests than Spanish soldiers in the Philippines. Only the high government and military officialdom were peninsulars. (ex. The artillery sergeant who lead that revolt in Cavite was a Mexican-Spaniard). 6) It was only when Latin America gained independence plus the opening of the Suez canal that there came an influx of peninsular Spanish soldiers and civilians into the Philippines. Before that, the Philippines was simply too far away that it was even administered by the vice-royalty of Mexico and not directly by the Spanish crown in Madrid. 7) And finally, the Yaqui tribe is still in Mexico. Thanks for all your information. Very simple and easy to read for this old guy. Mish, yea I looked him up but I was trying to find his source for those Yaqui's. Sound;s like all you boy's went to college. One of the thing's I missed. Like taking Philippine History classes. I liked your stuff Ray, but "maybe, maybe one Yaqui mestizo made it to be a scout and that was the one they showed in the book. Even his nose looks Indian. ha ha. Sometimes history is not written down. Sometimes history is verbal, the Indians used this form for eons and they were true. Sometimes some things are not gospel for us that are in the future of when things happened in the past. My dad mentioned verbally that he was a Scout. No papers, no pictures and no one to back him when I was growing up. No one believed him. But when he was dying, I did some searching and found his discharge paper that he was in the service. The world of my family Philippine history opened up beyond my dreams. While looking in the net I found the attached article and thought you would like it, if you have not of course seen it or known about it. If they came to Mexico they went to the Philippines. I think this is another outfit for your closet Ray. Next time in Fort MacArthur you guys might find me in the Mexican section. 26th, I am sorry if I sounded sarcastic towards you. I really did not mean it and I know and I hoped you saw it as a friendly joke. I know mis-spelling is a common thing when it comes to chatting and forum posting..I know I do it a lot. Cant tell you how many times I would go back and re-edit my posts. I also know it is challenging and difficult to express ones self through typing with out sounding distasteful...I am trying to work on this. Sorry about that. I know this forum is for sharing information. But I do not see anything wrong with a debate, which I also feel this is what this forum is used for. 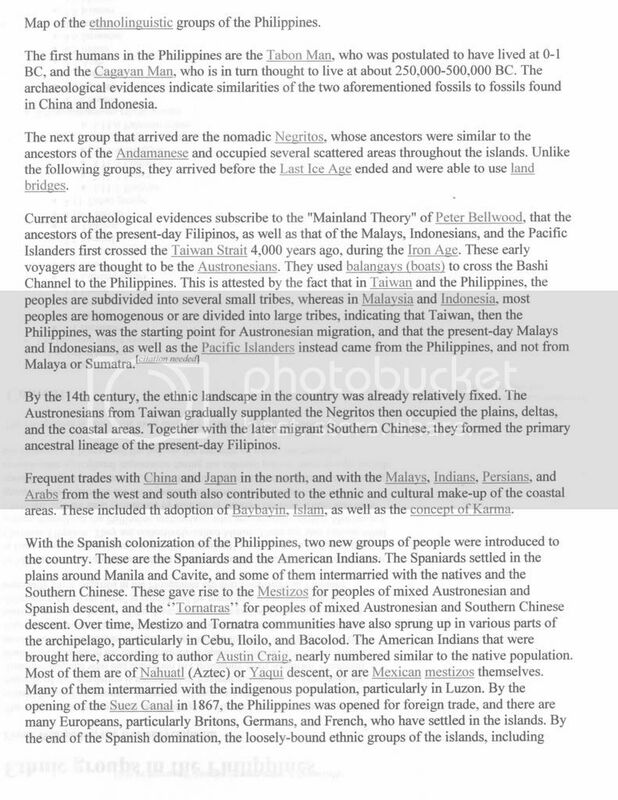 You can see how the statement "The Macabebes, were never native to the Philippines." can draw a great debate on this forum. .because it is of my belief the Macabebe people were both, the original "Native Scouts" and the original "Philippine Scouts". not "Macabebe Scouts"? To throw that back that way, shows a lot of his character. NOW HERE IS A FACT! We should all get together over some San Miguel. Pure forum text sometimes can get mis-read. How did a Pampanga town get named Mexico anyway? And what about the town incredibly named Sexmoan, Pampanga? It would be hard to keep a straight face when telling someone "I'm from Sexmoan, Pampanga"
One thing I learn as a politician for four years in my home town and living with firemen for 30 years is "not" to take anything personal. We would of had more fist fights than fires. Even then if one happened it was more principle than personal. Anyway keep on a posting and I am gonna keep on a reading as they say down south. Well Rudy, that the Macabebes have indigenous Mexican blood in their veins is more than just possible. If a single Spanish priest in a lonely parish mission can do wonders to the gene pool of his flock of natives, what more a Mexican soldier in the Philippines or a Filipino sailor in Mexico far away from their own womenfolk?....now I mean this in a positive and "matter-a-factly" way. But really, indigenous tribal rivalries in the Philippines have existed long even before the Spanish came to the Philippines. It could be that the Mexican blooded guy which started the legend merely "inherited" the feud from the pre-existing local tribe he married into and consequently influenced so dramatically. To trace the "feud" to the notion that a tribe was of "foreign" origination somehow implies that it was transplanted "lock-stock and barrel" from somewhere else, and that would mean a whole community complete with women and children (and maybe even livestock). San Miguel is right on target Victor. Ray, most interesting comment. Could it be that a few Mexican mestizos did end up in that area and just called themselves or other people did "Macabebes" or of Macabebe desendants or from the Macabebe area.? Then they were recruited and just called Macabebe scouts? Could of only have been a squad or so. A whole family or two and livestock breeding or like you say having fun for a few years. The possibilities!!! 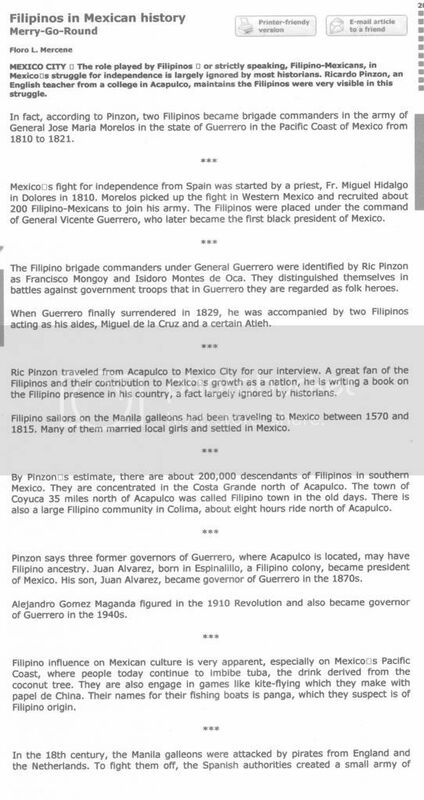 Only 200 filipino's in Mexico in article and maybe 200,000 now in less the 200 years. We need a time machine. Hey Victor when I go back to DC San Miguel on you to find for us.